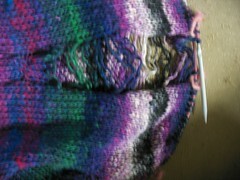 I purchased some Noro Taiyo, a yummy cotton blend that I loved immediately. 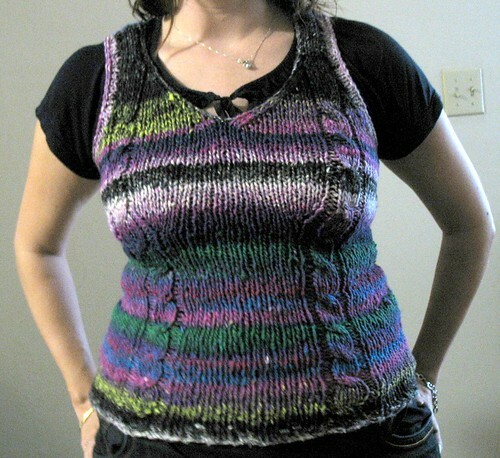 It's a bulky yarn and, as it happens, I had the Abrazo pattern queued up. The Taiyo knits up a bit smaller, so I put more stitches between the cables and followed the instructions for a larger size. The lighting in these photos is not the best, but I am too lazy to fix that right now. 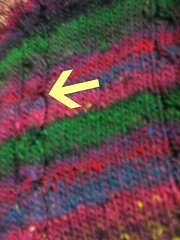 At one point, possibly later than I should have been knitting, I discovered I had screwed up one cable on the left side. A few cables ago. 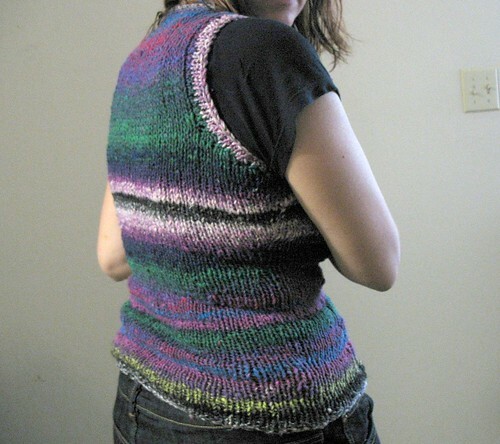 And re-crossed it and knitted back up with the help of some DPNs.